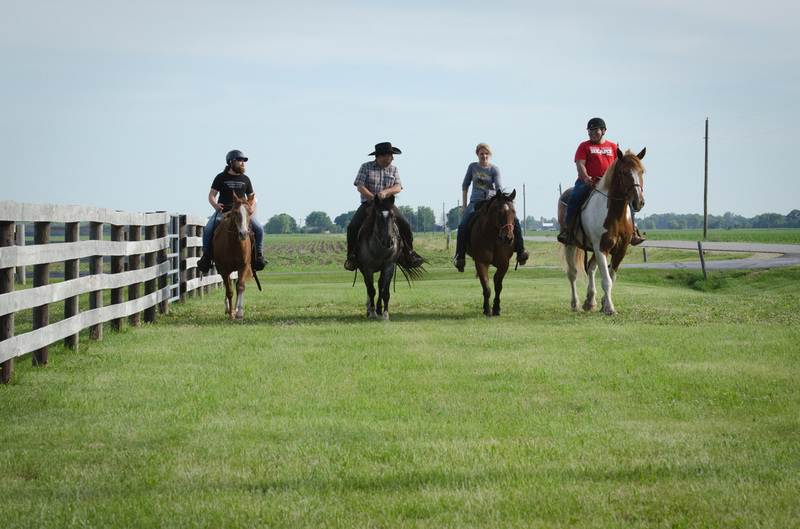 BraveHearts provides equine-assisted activities and therapies with teams of expert staff, dedicated volunteers and therapy horses at multiple safe and caring facilities. In addition to serving children and adults, BraveHearts provides innovative services to meet the needs of our military veterans and their families. By utilizing a faculty of national experts, BraveHearts is a center of excellence within the therapeutic industry through its unique efforts in programming, education and research. BraveHearts is 501c3 nonprofit organization and a Professional Association for Therapeutic Horsemanship International (PATH Intl.) Premier Accredited Center, which provides equine-assisted services to children, adults and military veterans with various diagnoses. BraveHearts is the largest PATH Intl. 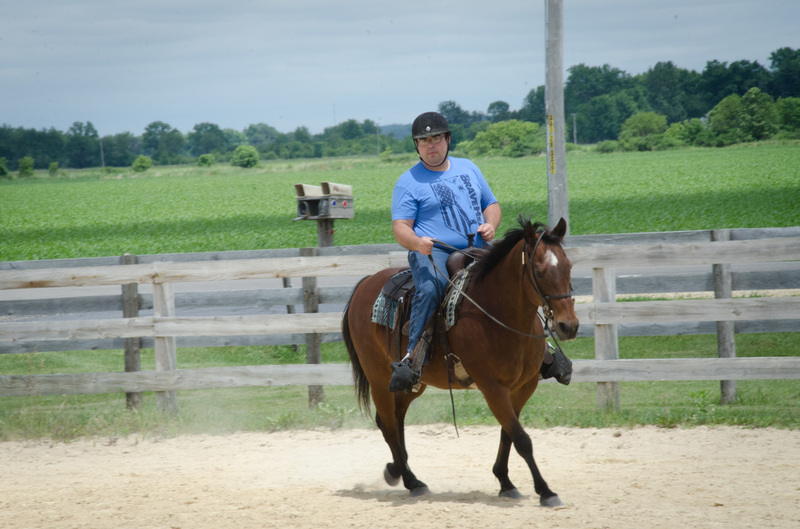 center in the country providing equine-assisted activities to military veterans free of charge. In 2015, BraveHearts provided 17,515 sessions to 1,192 individuals with the help of over 306 volunteers. ​It is that incredible bond – that acknowledgement that both the veteran as well as the wild mustang comes from a state of heightened awareness – that makes the veteran and the wild mustang such a complimentary pair. BraveHearts Chief Operating Officer and Professional Association of Therapeutic Horsemanship International Master Level Instructor Meggan Hill-McQueeney recognized the power behind this symbiotic relationship. It was the impetus behind her piloting this innovative program, writing curriculum and making presentations that encourages other facilities to give mustangs the opportunity to live purposeful lives alongside veterans. It is that well-preserved rawness and freshness that continues to draw in veterans from across the country. “That first touch, that first pet, that first time you pick up a hoof, those are amazing things to experience,” U.S. Marine Corps veteran and Professional Association of Therapeutic Horsemanship International Level Instructor Cpl Nicholas Montijo said. BraveHearts staff now preserves these “firsts” for their veterans. 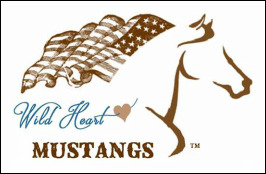 Nearly four years ago, Hill-McQueeney and BraveHearts Director of Operations and PATH International Level Instructor Paddy McKevitt brought four wild mustangs selected by the Bureau of Land Management through the Mustang Heritage Foundation to compete in the Mustang Million with two veterans. It was there that Hill-McQueeney and her staff knew they wanted to bring this opportunity to veterans across the country. “It was the first time BraveHearts had worked with wild horses and we worked through the gentling pretty quickly to get ready for the competition,” Hill-McQueeney said. When Mighty, Bravo, Azul and Velvet came back from the Mustang Million, they were used in retreats, hippotherapy and foundation horsemanship. “They worked so well, that people didn’t believe they were mustangs. That was when we knew we needed to bring in more,” Hill-McQueeney said. ​In the spring of 2015, Hill-McQueeney, McKevitt and Montijo went to Wyoming with the purpose of bringing back five wild mustangs from the BLM – and this time, they took their time gentling the horses. Boo-yah, Maverick, Hero, Don Quixote and Batman have been at BraveHearts for about a year-and-a-half, and still they offer firsts that provide healing experiences for veterans. Two weeks ago, Reno experienced yet another first. ​“These mustangs still are in a hyper vigilant state – and that is why this program is awesome. We [veterans] are also in a hyper vigilant state. We need to be reprogrammed just as they do,” Reno said. Reno further explained that the rush – that burst of adrenaline – forces him to be present. “I can’t think about the past. I can’t think about the pain. I have to focus on everything that is right in front of me in that moment,” he said. “Once you are in the present and you work the mustang, once you start to work on demeanor and trust, your adrenaline starts to lower and drop,” he continued. Incorporating these wild horses into the program has taken careful planning. “Our philosophy here at BraveHearts is to make sure we are as comfortable, as soft, as consistent as possible – for both the veteran and the horse,” Hill-McQueeney explained. “We use a modified approach that is appropriate work for veterans. Our training style for our participants is a hybrid model. … Everything we do here is customized. Every person, every horse – we recognize them as individuals,” Hill-McQueeney said. 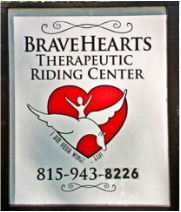 BraveHearts Therapeutic Riding Center - (Harvard, IL and Poplar Grove, IL) BraveHearts provides equine-assisted activities and therapies with teams of expert staff, dedicated volunteers and therapy horses at multiple safe and caring facilities. In addition to serving children and adults, BraveHearts provides innovative services to meet the needs of our military veterans and their families. By utilizing a faculty of national experts, BraveHearts is a center of excellence within the therapeutic industry through its unique efforts in programming, education and research.